Guest editor Peter Barker reviews Gordon Parks: A Choice of Weapons. Curated by Mark Sealy; developed as a partnership between Side Gallery, Autograph ABP & The Gordon Parks Foundation. One of the really interesting facets of a photograph is how it changes with time. A portrait becomes biography, a landscape becomes a record, travel becomes ethnography and documentary becomes history. We may take some reassurance from a photograph’s historical position because from the vantage point of the future, so to speak, we know what happened next. The photograph produced on the cusp of the moment, the nearest thing we have to actuality other than our own experience, settles down into a comfortable middle age, its meaning agreed upon and makes the odd promotional appearance in anthologies and on websites. But if truth be told, we only get to see the photographs that end up on the right side of history - or the ones we get to see are given a context which puts them there. Where then does this leave Gordon Parks’ photography, a selection of which is currently exhibited in A Choice of Weapons at the Side Gallery in Newcastle? Dating from the 1940s up to the 1970s it should be enjoying a happy retirement, safe in the knowledge that it has done its job as witness and cause. And maybe 20 years ago it clearly would have been on the right side of history, the argument largely won. But what about now in the era of a renewed white supremacy movement and all the events behind the Black Lives Matter campaign? The exhibition takes some thirty photographs and puts them into three groups: Segregation History, Agents of Change and The Fontenelle Family. You can’t entirely encapsulate six decades of work in such a small exhibition but what these photographs can do is show the power and direction of Parks’ work. 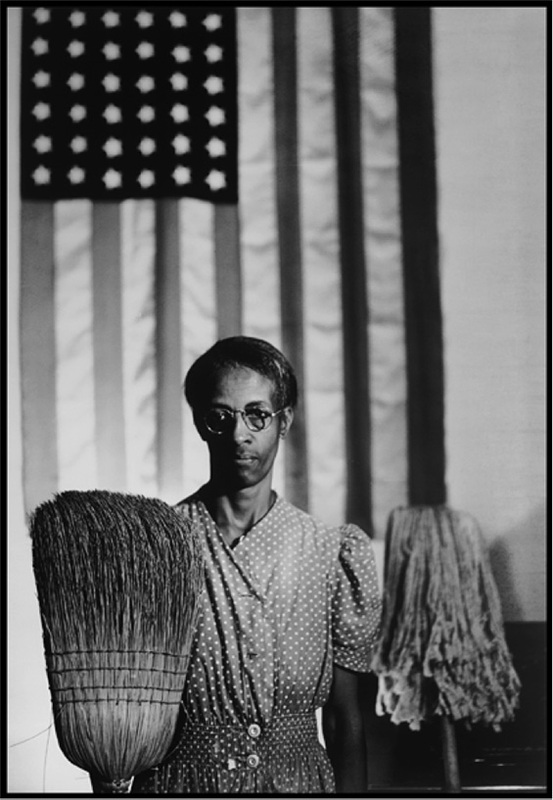 The celebrated image entitled American Gothic of Ella Watson in front of the American flag even now is pretty striking so it is little surprise that in 1942 his boss at the time thought it would get them both the sack. Agents of Change includes figures who are still highly charged such as Martin Luther King and others who are now half-forgotten, such as Eldridge Cleaver and Stokely Carmichael. But what the photography does is show the viewer the charisma of these people. They still come off the print and speak to you of what they once represented, however, you may view that. 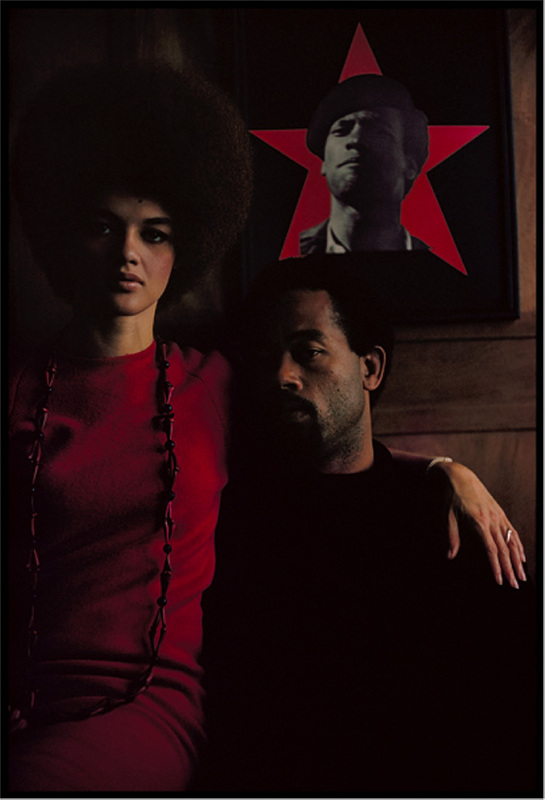 The photograph of Eldridge Cleaver and his wife Kathleen, for example below: how would you describe it? Threatening? Touching? It projects both mythic and human qualities that seem to encapsulate the Cleavers both as public figures and private people. The Black Muslims, the Black Panthers, Mohammad Ali – all the photographs have that same duality about them and seem to me to invite thinking viewers to reflect at the very least on the legacy of the photos’ subjects. Then there is the series Cycle of Despair, prints from a 16-page LIFE magazine feature investigating the causes of rioting in US cities in the 1960s. The exhibition features a twenty-minute documentary narrated by Parks himself about the making of the series and it is harrowing. Given this assignment, Parks chose to concentrate on one family, in one tenement, in one city: the Fontenelle family, Norman, Bessie and their eight children who lived in grinding poverty in Harlem, New York. The magazine spread is set out in the exhibition. On one level it is an unrelenting sociological and journalistic investigation and on another level, it is the depiction of wider human tragedy. It is about the Fontenelles but you may see it as having been also about the plight of black people and of poor people more generally in the mid-twentieth century. The two photographs of Norman Fontenelle give some idea. The earlier one, much more abstract in the print on the wall than on the magazine page, seems, as you stand close to it, to take an almost abstract pattern and to pull it back into the world as you realise with a start that it is a human face: it hovers, a human being who almost isn’t. The second shows him in hospital after his wife has poured scalding water over his face when he attacked her. Unseeing, he faces the camera full on, abject and bewildered. This is a powerful, powerful exhibition. If you go and see it and are not sure about the history of black political figures and movements in the second half of the twentieth century it would be worth reading up on them before visiting. That photograph of Kathleen and Eldridge Cleaver in Algeria, for example. She has a protective arm wrapped around his shoulder and is looking into the lens with some composure while his gaze is averted, staring away as though he is lost in thought. Yet the poster above his head shows him in a rather different guise. You can interpret these elements with more confidence if you know why the couple have fled to Algeria and understand some of the background to the photograph. That brings us back to the question I raised at the beginning of this piece. Where do these photographs sit now? Are they enjoying a long and happy retirement confident of their place in history? They started off as reportage. Then as the twentieth century unfolded they seemed to have earned their retirement; they had become historical, like old battle photographs once the war is over. But now as we lurch forward in the new century a third life is being thrust upon them and they have their boots back on. It is forty years since the LIFE magazine article on the Fontenelles. It is half a century since the Civil Rights Act, the Voting Rights Act and the Fair Housing Act seemed to enshrine some basic standards of equality. It is nearly a decade since the USA voted in its first black president. Yet what seemed to have been settled is now back in question. The struggle, it seems, is never over. You look around this exhibition and realise that these photographs are on the front line again and still have work to do. 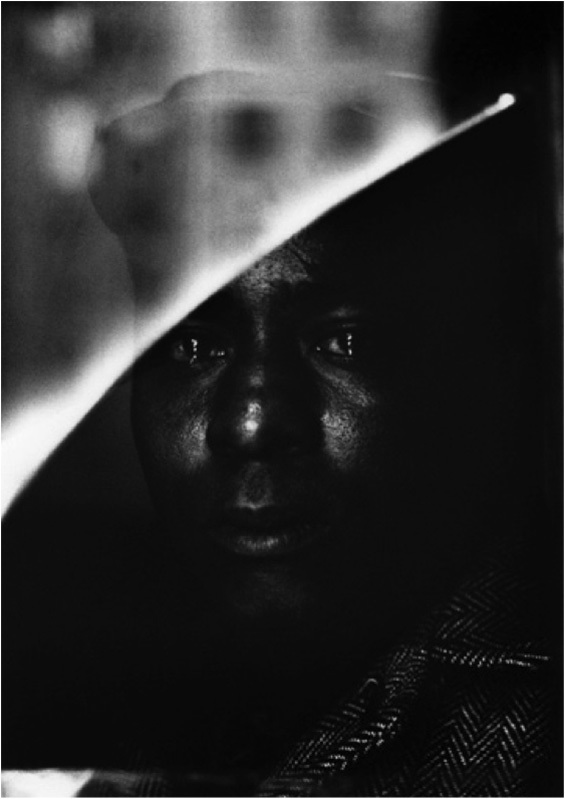 Gordon Parks: A Choice Of Weapons is on show at Side Gallery, Newcastle until 17 December. Click here for more information.